Review our newest web-based application project called Web-e-Books...designed to reach e-book readers on any type of device the same way...whether smart phones, tablets, ultra-thin notebooks, laptops, or other e-readers with browsers. Allow me to introduce you to an exciting and innovative new company called The Tri-Screen Connection, LLC, formed to explore the potential of combining multi-screen, web-based product and services development for the new age of online business growth. Our planned offerings include digital content publishing, dynamic messaging, Internet television, voice and video telephony, and multi-media services. 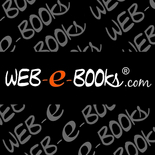 Initially, The Tri-Screen Connection is targeting broadband and mobile communications consumers, authors, and publishers by developing a turnkey web-based application called Web-e-Books®, www.web-e-books.com. This is just the beginning of our long-range product road map to incorporate three-screen access to a number of communications and content services. With The Tri-Screen Connection, you can partner with us to gain market share in your respective industry by relying on us to build your next web-based application. By contracting with our professional services group, called Web-e-Dev™, your organization can build incremental revenue, retain today’s customers and compete against those large media and online darling companies that drain away your profitability by dislodging otherwise loyal customers. Let’s exchange your needs with our solutions.